Aardvark Painting is top of the list for Interior Painting contractors in Chicago, Aardvark Painting believe’s there’s nothing better than a new fresh coat of paint. Whether it’s trim, doors, windows or baseboards, Chicago Interior painting is the most economical way to update that “dingy” old look with new and Vibrant Designer Colors . Being your #1 Painting Company in Chicago area, Aardvark Painting understands it is difficult choosing your colors, we have a solution, our Free Color Consultation*and Mini Samples*. Also to help you choose your colors we have Online Color Tools and a Virtual Painter to make your painting experience easy. Aardvark Painting will guide you thru your color selections. 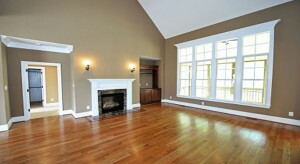 Aardvark Painting is the #1 Professional Painting Contractor in Chicago. Your interior house painting quote will be exact, detailed and include written explanations of the different stages in the painting process that your home will need to look great and last a long time!. Once we begin your painting project your work will perfomed by our skilled old school professional Interior Chicago Painters. First we determine if there are any Interior paint problems and our Chicago Painters make necessary corrective repairs to prevent reoccurring problems. Aardvark Painting is concerned about the environment and your health that’s why we use the Finest Quality Paints that are Environmentally Safe Low and No VOC paints and EPA rated“Green Paints”that are low or no odor. Our Professional Chicago Painters will protect your home with drop clothes, plastic, tarps and blue painter’s tape. Skillfully Caulk all 1/4 inch gaps and where necessary prior to painting. 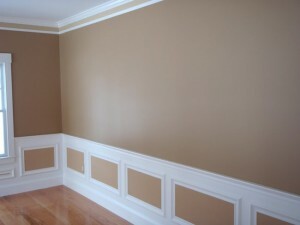 Our Chicago Painters will Prime walls, trim, doors and windows where necessary. We Sand all surfaces to ensure a quality bond and for smooth “Like New” finish. Being the top Professional Painting Services in Chicago we Organize our equipment and Clean up at the end of each day. Unmatched by any other interior Painting contractors in Chicago we offer a 5 year Guarantee on workmanship from your premier Chicago Interior Painting Services.